Clarksville, TN – Austin Peay State University women’s cross country team will head to Memphis this weekend as the Governors will be running in the Rhodes Invitational. Austin Peay will take off at Shelby Farms, beginning at roughly 9:15am, Saturday, September 14th, 2018. The Rhodes Invitational will have over 24 teams in attendance, with various Divisions I and II schools locally, such as Lemoyne Owen College, Memphis, and host Rhodes. This will be the first time since 2016 that the Govs will be participants in the Rhodes Invitational. With the youth on the 2018 roster, no one returns from the 2016 team that participated in this event, as alums Sarah-Emily Woodward, Becca Wheeler and Sarah Carpenter graduated after last season. This young Governors’ team looks to make another statement this season just as it did in the last meet in Huntsville. 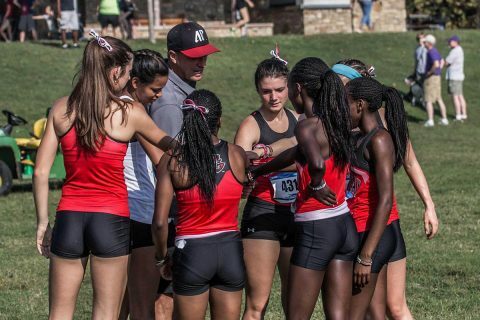 Last Saturday, six Govs were in the top 25, with senior Caroline Kiplagat and freshman Maisie Lay in the top 10; they look to maintain their hot streak this week. The remaining Govs intend on forming the pack running style and capture another great finish and every Govs try to reach the top 50 once again as they race in the 6k for the first time this season.